1-Are we alone in the universe? There could be as many as 40 billion habitable planets in our galaxy alone. Some may think we're the only intelligent lifeforms in the universe. If that's the case, the universe is unimaginably lonely. Other researchers say there's almost no way that Earth is the only headquarters for life — there could be as many as 40 billion habitable planets just in our galaxy. That's an awful lot of potential for alien life.There are some necessary requirements for life to arise. Not only does a planet need the right mix of elements and conditions, there also has to be a spark that gives rise to living creatures. Then, of course, those creatures have to somehow evolve into beings with intelligence.Even to modern human science, the simplest of our planet's lifeforms are still an extremely complex stew of chemical reactions and cells. We don't really understand how they emerge, evolve and survive in an incredibly diverse range of environmental conditions. That makes finding, identifying and communicating with alien beings much more complicated.In spite of those challenges, researchers at NASA think we may find traces of life in next couple of decades. More powerful telescopes could be one key to finding it.Or it could be that life here is just a statistical aberration, an accident of the weirdest kind. Maybe this odd swamp of a planet really is a jewel of the universe, unduplicated and unlike any place else, anywhere.Yet we know that water and similar gases and elements exist on many other planets. 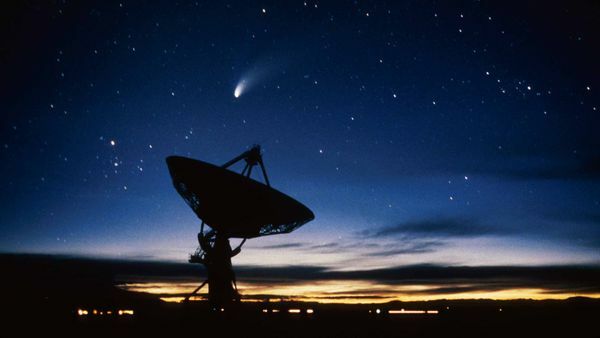 If we keep looking and happen to find even a shred of evidence, such as fossilized remains or tiny bacteria, it seems more likely that somewhere across the stars that another species is also looking to the heavens and pondering potential neighbors somewhere in the universe, too. 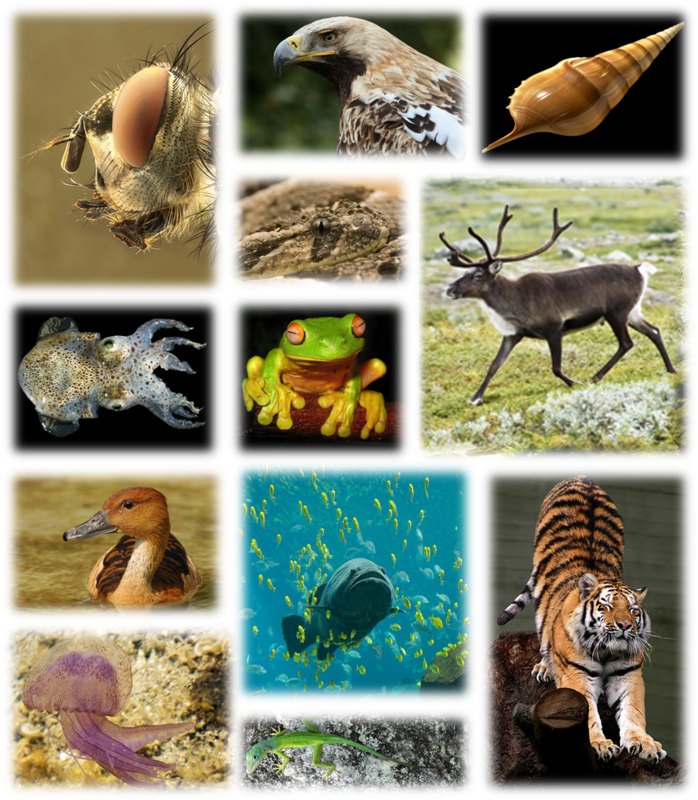 2-How many species are on Earth? By some estimates we’ve still only accounted for 1.5 million species, or around 15 percent of the total number on Earth. 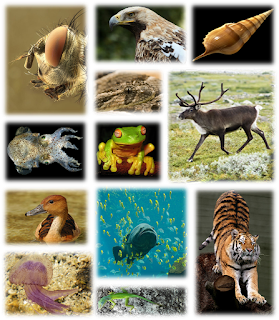 Earth is home to a dazzling array of creatures and plants. Pink flamingos fill the skies, humongous elephants stomp through the savannas, and weird fruits and ferns hide in crevasses everywhere. We'll never know how many different species roam our planet. There are just too many. But that doesn't stop scientists from trying to determine that elusive number.Botanist Carl Linnaeus realized two and half centuries ago that humans needed a system for keeping track of our planet's species. He began classifying both plants and animals using taxonomic language that named, ranked and classified creatures and plants.After generations of work, by some estimates we've still only accounted for 1.5 million species, or around 15 percent of the total number. That means the majority of organisms still need adequate description. That's especially true for undervalued and underappreciated species such as fungi, of which we've really only described maybe 10 percent. In contrast, we've done a pretty good job with our fellow mammals, most of which are already logged.All of the numbers are simply statistical guesses, so we may never really know if they're accurate. Perhaps the bigger concern is that species seem to be disappearing a rate faster than at any time since dinosaurs vanished 65 million years ago. After all, if creatures are disappearing en masse, we humans could be next. Our planet is teeming with trees, grasses, bird and bees. It's also swarming with countless bacteria. All of it is life, and all of it reproduces to keep its kind alive. But how in the world did life begin in the first place? How did a mass of cells shift from an inert collection of organic molecules into a wiggling and sometimes even intelligent being?The short answer is: We don't know exactly how life originated. There's the off chance that 4 billion years ago, aliens dropped off a few microbes and let them run wild. And of course, many religions have supernatural explanations for life's origins.Many scientists think that life is a natural progression for planets that feature the necessary ingredients for biology, such as carbon, hydrogen, oxygen and other fundamental building blocks. With the right spark — say, a bolt of lightning — those cornerstones slowly develop into the cell walls and DNA that are suited to reproducible life. 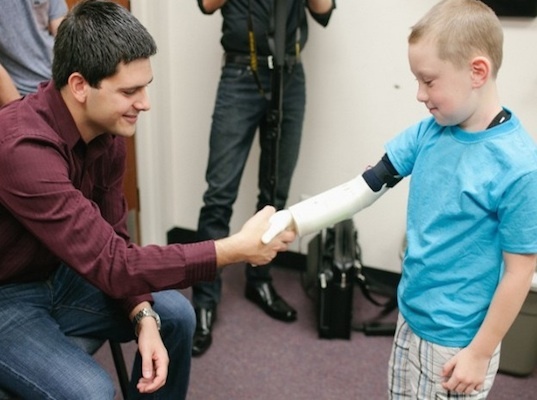 Researchers are continually running experiments like this in laboratories, hoping to zoom in on the formula for making life.Try as they might, it's a mystery how those bits of non-living parts assembled themselves into actual living creatures. It could be that we are as yet still ignorant to the characteristics that truly define life. Or maybe we're blind to the principles of physics that really make life tick. No matter the case, the search for life's origins will undoubtedly continue for a long while. Ken Kapalowski In his replica of the DeLorean time machine from "Back To The Future." As science fiction concepts go, time travel is one of the most captivating. It's hard not to wonder what it would be like to zip back into history to witness a Roman battle in action. It's perhaps even more intriguing to ponder what our world would look like if you could instantly peek 1,000 years into the future.As it turns out, time travel might not be fiction. 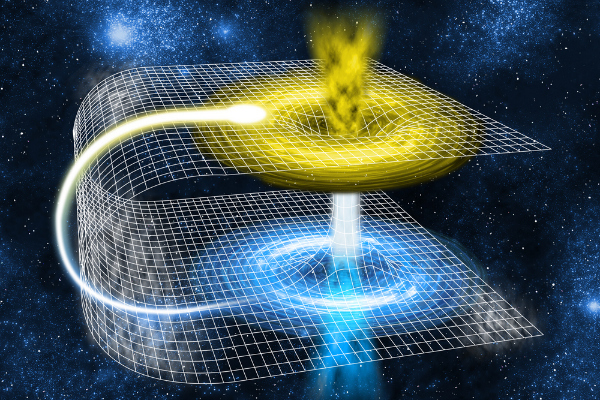 It may be that we just haven't quite figured out how to make it work for us.One possibility is wormholes, which are bridges of a sort that could help people move through time and space. If you could breach an opening into a wormhole, you could theoretically enter it and then wind up on the other side of the galaxy in a different place and time.We could try traveling at the speed of light, at which point your world slows down greatly compared to the one you leave behind. Our current science says that nothing can move as fast as light, though, and even if we could, it might tear our bodies apart.Maybe we could orbit massive black holes, which have such incredible gravitation pull that they actually slow down time. Hang out by a black hole and your experience of time would be roughly halved compared to life on Earth. 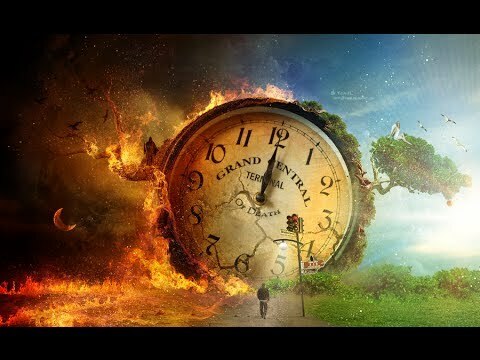 If you returned 10 years later by your perception, your family would have aged 20 years in that time.Or perhaps we could use cosmic strings, the so-called cracks in the universe, to navigate time. These strings (which are also sometimes loops) have so much mass that they may actually cause the space-time around them to fluctuate.Manipulating any of these scenarios might grant us the power to finally realize time travel. Even we can figure out the science, though, there are numerous paradoxes that might make time travel unfeasible or downright dangerous. So for now, traveling in time is still simply the stuff of books and movies. 5-Is the universe truly infinite? When you look up on a dark night and see the uncountable stars scattered throughout the skies, it's easy to think of the universe as infinite. Or maybe you see those illuminations as similar to the glow-in-the-dark stars on your bedrooms ceiling, just pretty decorations to behold, a high but dead-end ceiling. Either way, science can't really tell us yet whether the universe is infinite or finite.As with everything else, researchers do have theories. After analyzing maps generated by observations made with the Baryon Oscillation Spectrographic Survey (BOSS), a super-powerful telescope in New Mexico, one group determined that the universe has an exceedingly flat floorplan. The survey was based on observations of "only" 1.2 million galaxies, which is a drop in the universal bucket, but it's a strong clue that our universe isn't sphere shaped.So is that flatness infinite? It's impossible to say. 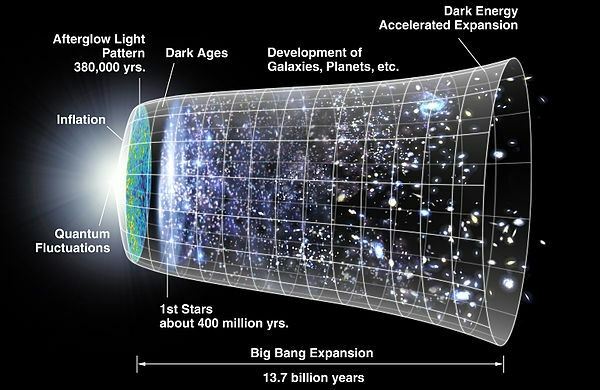 One reigning thought is that the Big Bang is causing the universe to constantly expand faster than the speed of light. Because we can't see beyond the speed of light, we'll never really know if there's an edge to the universe.We'll likely have to spend our lives wondering about the true nature of the universe's size. It's a mystery, like so many others, that's overflowing with a captivating allure that draws our minds but never offers any real answers.Whether you're struggling with how big the universe might be or how life originated on Earth, our existence is brimming with bizarre twists of nature that we can't explain and may never understand. Those questions may trouble us and hound us for our entire lives – but they are also an essential part of the human experience. Typically, you dream during the rapid-eye movement portion of the sleep cycle, but researchers don't know why you dream in the first place. During your latest shut-eye adventures, you chopped the head off of a six-legged rabbit while wearing a neon pink bonnet and screaming, "Gesundheit" at the top of your lungs. You aren't sure whether that dream means something, unless it's that perhaps you consumed too many hallucinogensduring college, or merely ate some bad carrots yesterday.Scientists and sleep experts know when people normally dream. Typically, you dream during the rapid-eye movement(REM) portion of the sleep cycle. You can see when a person (or even your cat or dog) is experiencing REM sleep because their eyes zip to and fro and their bodies may twitch and jerk, too. The brain's electrical patterns are very active in this phase, just like when you're awake.But researchers don't really know WHY you dream. It may be a way of reflecting on or releasing the stress of everyday life, or even an unconscious way of helping you unravel challenging experiences. It could be a way that your mind protects itself from threatens and dangers.It could be a biochemical way for your brain to sort, file or store short- or long-term information. Perhaps dreams are a way to reconcile your past and present experiences to prepare and steel you for the future.Regardless of their purpose, dreams are a cornerstone of the human experience. They entertain and haunt us and serve as reminders that our inner world is just as deep and strange as the exterior world all around us. 7-What happens when you die? The subject of the afterlife — or lack thereof — is one of the oldest quandries troubling humankind. Everyone on the planet would like a better idea of what happens to them after they die. And hey, there are billions of people who already know the answer to that question. Unfortunately, they can't tell us about it because, well, they're all dead.The subject of the afterlife — or lack thereof — is one of the oldest questions troubling humankind. Will we all float off into eternal bliss? Will the evil among us be damned to the pits of Hell? Will our consciousness merely vanish once our bodies have expired? Or will we all be reincarnated as angry hippos or fluffy cats?Scientist do understand the beginning stages of death. They know how the human body begins shutting down. Like store employees turning of the lights at a megastore after closing hours, your body's cells begin to blink off, one by one, until your heart and brain cease activity.What happens after your brain clicks off, though, is still a complete mystery. Many people who have gone through near-death experiences and then come back to life speak about tunnels of light or flashbacks to life occurrences or conversations with loved ones who've passed away. 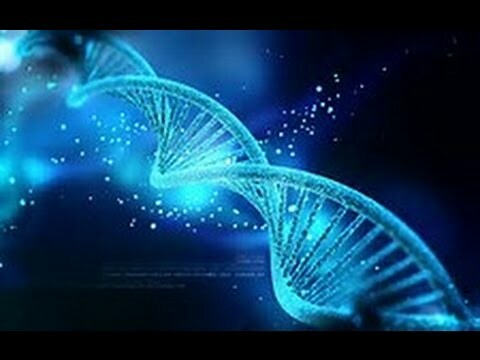 All of those experiences could have biological origins, perhaps spurred by lack of oxygen or wild biochemical fluctuations.Of the many questions we face about our existence, this is one that may never, ever be answered. Instead, we'll all be left yearning for wondering, searching for sort of meaning in the death.